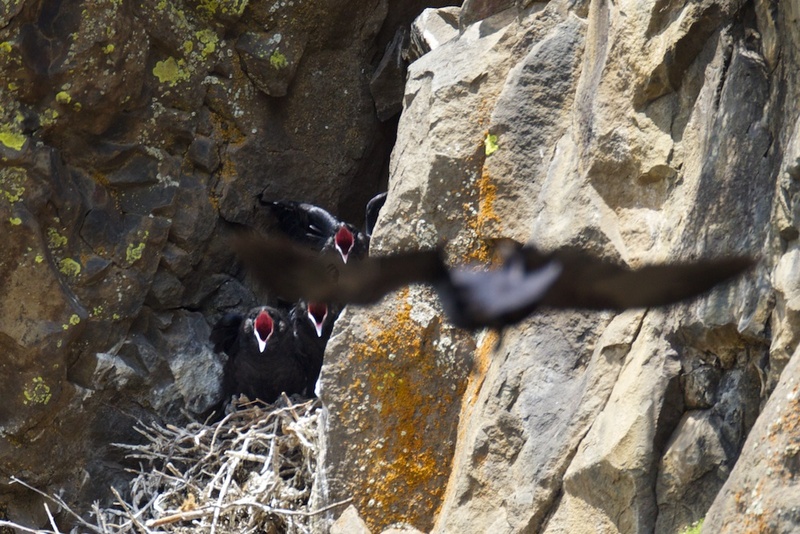 Tony Angell reflects: "It's a cloudless summer day as I listen to ravens behind me in the woods. There's an endless repertoire of croaks, krawks, barks, yelps, and yodels. Other ravens across the bay respond in kind, and I imagine that this is a day of poetry and perhaps a few jokes shared between clans of these birds." There's more to learn at TonyAngell.net. 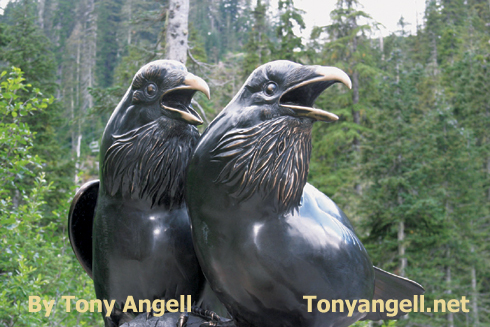 Come along, as Tony Angell, author of the book “Puget Sound — Through An Artist’s Eye” reflects upon ravens. It’s a cloudless summer day as I listen to ravens behind me in the woods. There’s an endless repertoire of croaks, krawks, barks, yelps, and yodels. Other ravens across the bay respond in kind, and I imagine that this is a day of poetry and perhaps a few jokes shared between clans of these birds. My imagination really runs with that, because as I think about it sounds very much like a conversation…..
To learn more about Tony Angell and his book, come to BirdNote.org.